How are you? I’m good but not up to very much. With the first few uni essays of the term looming during February, I don’t have a very ambitious TBR but I am planning on reading enough to keep up with my Goodreads Year Goal of 30 books, with is like 2.5 books a month. This month I have three fiction books to read for my course. The first is North by Seamus Heaney. I have heard of this before but I really have no idea what it is actually about. The next is Maus by Art Spielgman, which I have already started reading. It is a graphic novel about the Holocaust, and so far it’s extremely interesting. The third and final course read this month is The Doll’s House by Henrik Ibsen which I have also heard of but I really have no idea what it is about. 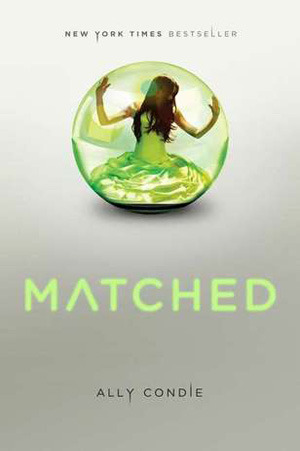 The second is Matched by Ally Condie, which I started reading last month but didn’t finish. So I hope to get to this will definitely be one of my first reads this month. The next is second in The Phobos Series by Victor Dixen. I read and adored the first book in this series last month and I hope to delve right into this once I get through some of my uni reading. Léonor thought she was a pioneer on an extraordinary mission. She thought she had left all regrets behind her on Earth. But when memories are this painful, there can be no forgetting. I’m flabbergasted that we are in February already. 2019 is fading fast. I will be back on Sunday with a review of Ascension (Phobos #1) by Victor Dixen which I read last month if you are interested, tune back in for that. See you soon. Are you reading the entirety of MAUS for your class? I got access to a section for free for a class and really enjoyed the style and perspective I got through it. I want to read the whole thing, but it’s pretty expensive. Yeah, We’re reading the whole thing. We bought a bundle of all the books for the course and it was about £55 for 9 books including MAUS complete edition. So surprisingly wasn’t too bad. I’m looking forward to it more now you’ve said what you read of it was good. That is a pretty good deal. I know in CAD that Maus is around 35 dollars. So if you’re getting 9 books, that works out well. I’m glad I’ve contributed to your interest!